Register now to gain full access to all our materials! Home/Register now to gain full access to all our materials! N.B. Fill in your details below and register for FREE to gain access to the 50 000 pages for registered members only and all our FREE downloads. 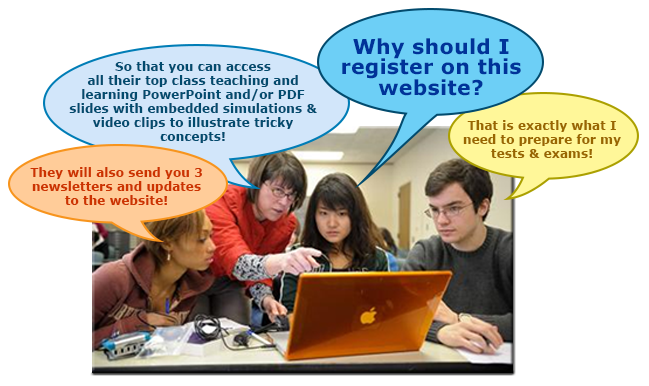 There are over 100 000 pages, links, simulations, videos, textbooks, workbooks, worksheets, tests, exams etc on this site! Please make full use of all our materials on the site – by registering now! Note: Your new password will be auto generated by the system and sent to the email address you enter. Check your mailbox after registration taking note of your password. Email sent from webmaster@mathsandscience.com – add this to your address book. Click on the link in the email to login to your free account. Note: You are able to change your password from your profile page. N.B. It takes a while for you to receive your automated password from the website. You will need this automated password to login to your free member account. Just ‘copy and paste’ the automated, secure password from your email, in order to login. You can now change your automated password if you wish – to one that is easier for you to remember. N.B. WE GUARANTEE NOT EVER TO PROVIDE OR DIVULGE YOUR EMAIL ADDRESS TO ANYONE! Please view our website Terms & Conditions and Privacy Statement before you register.